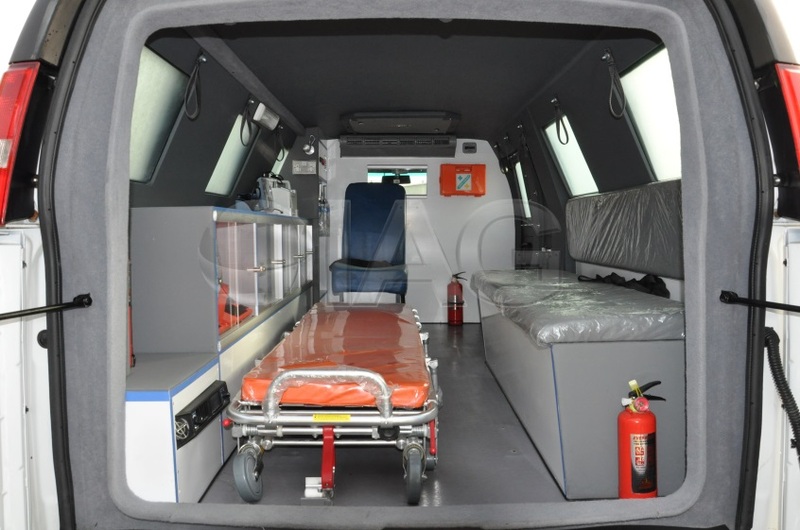 The GMC Savana / Chevy Express armored ambulances are ideal for medical teams looking for powerful engines, ample storage space and affordability. 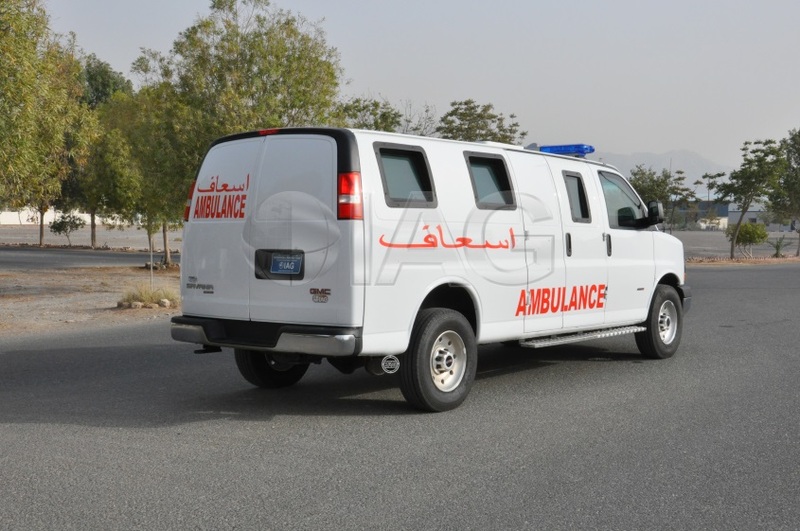 The GMC Savana ambulance (Chevrolet Express ambulance) feature an upgraded 220 amp alternator, isolated 2nd battery, rear HVAC heat and air conditioning system, 4 wheel antilock/disk brakes, one 120/240 V. power outlet, and two 12-volt auxiliaries, daytime running lights, driver information center (fuel, speed, oil life, maint., tach., engine hrs, etc. ), external transmission oil cooler, ladder-type frame. 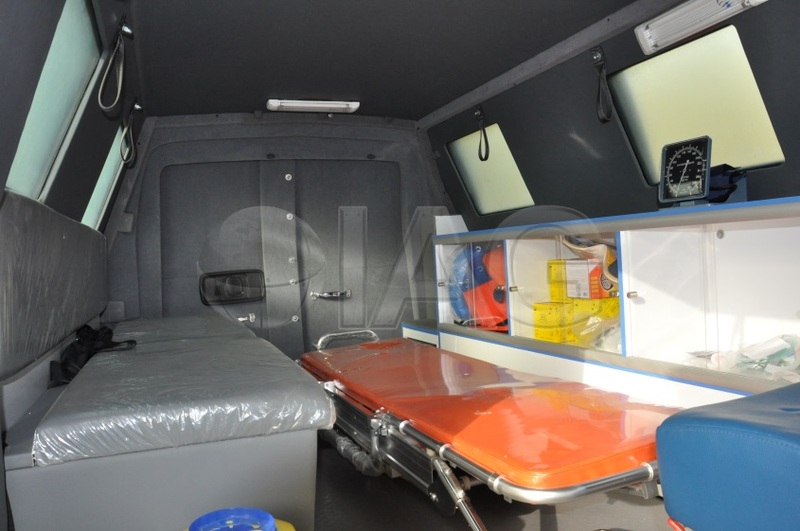 The interior of the vehicle is modified to be used as an armored ambulance and outfitted with the following features: Foldable Primary Stretcher; An easy fold wheeled stretcher with adjustable back rest, two patient restraints and four swivel wheel; Duo-folding Secondary stretcher: An easy fold lightweight stretcher that is compact for storing and used as a secondary stretcher; Roof mounted 12V Electric Ventilator: to extract unwanted odour in the patient’s compartment; Ceiling mounted IV Track; Portable Oxygen Therapy Kit; Metal Locker for storing equipment; Ventilator / Resuscitator and much more. 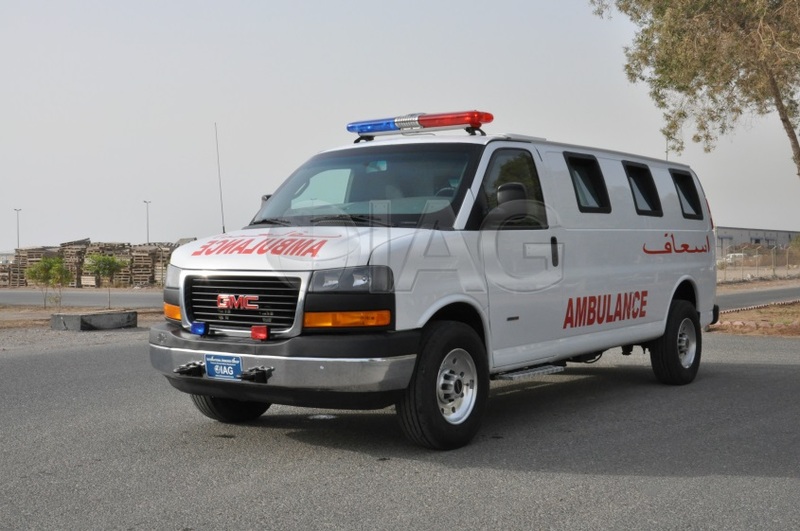 The GMC Savana / Chevy Express ambulances can be armored up to NIJ III / CEN B6 and are available in both diesel and petrol engines with the diesel engine capable of running both on high and low sulphur fuel with IAG’s in-house high sulphur conversion.